Maruti Suzuki has crossed the 20 million units production milestone in India. Quick on the heels of Suzuki's India operations (Maruti Suzuki and Suzuki Motor Corporation India) completing their 20 Million production milestone in India, Maruti Suzuki by itself has also crossed the 20 Million units production milestone. 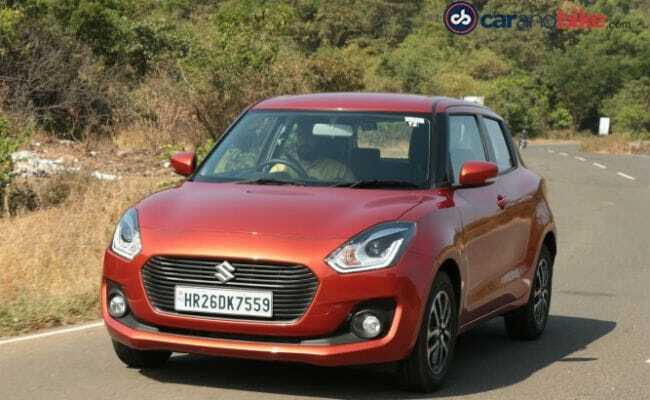 While the earlier milestone included production from Suzuki's Gujarat plant, which makes the Baleno premium hatchback, this new milestone only takes into consideration Maruti Suzuki's Gurugram and Manesar assembly lines that makes the likes of the popular Swift, Dzire, Vitara Brezza, Alto, Wagon R, etc. Earlier this month, the Maruti Suzuki Vitara Brezza had crossed the 3 lakh sales units milestone while the new Swift which was launched at the 2018 Indian Auto Expo in February 2018 has also crossed the 1 million units sales milestone. 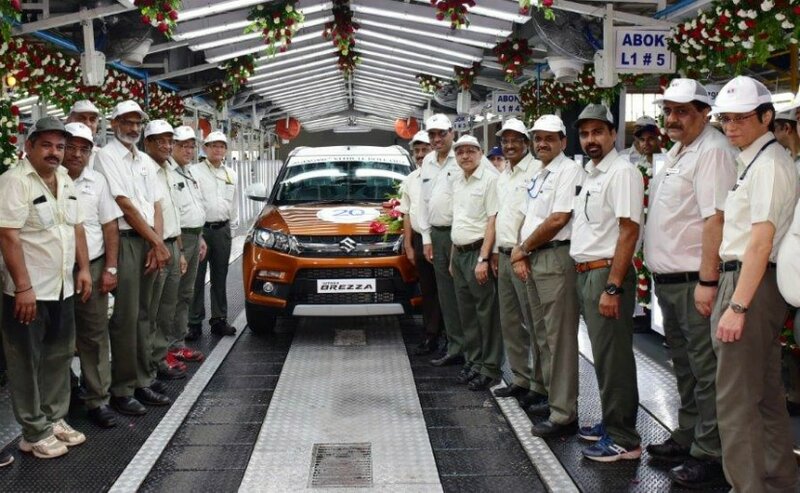 The 20 Millionth car made is Maruti Suzuki Vitara Brezza AMT in its signature orange paintjob with a white two tone roof option. Speaking on the milestone, Kenichi Ayukawam MD and CEO, Maruti Suzuki India said, "We would like to thank all our valued customers, business partners, Government, investors and all stakeholders. The 20 million production milestone is a testimony of trust in brand Maruti Suzuki. For over three decades, Maruti Suzuki has worked to listen and meet the evolving customer aspirations with contemporary products of global quality. We are committed to serve customers with products and services, which are best in quality, safety and ahead in technology." Incidentally, 2018 will make the 35th anniversary of Maruti Suzuki in India since its inception and first car, the Maruti 800 'SS80' was showcased on December 16. 1983. The first million milestone for Maruti Suzuki came in March 1994, a decade after inception while the 5 million units mark came up in April 2005. The 10 million units production milestone came up in March 2011. Maruti manufacturers and sells well over 1.5 million cars a year with the FY 17-18 sales pegged at 1.77 Million units. 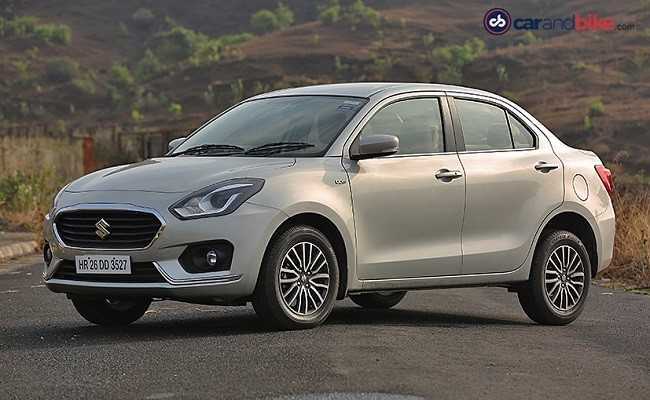 This growth has mainly been due to the success of its recent launches like the Dzire, Swift, Baleno and of course, the Vitara Brezza.